Rashida, 47, lost her husband in August but would like to return home to Myanmar. “If they give us citizenship and promise not to kill us, I will go back,” she said. 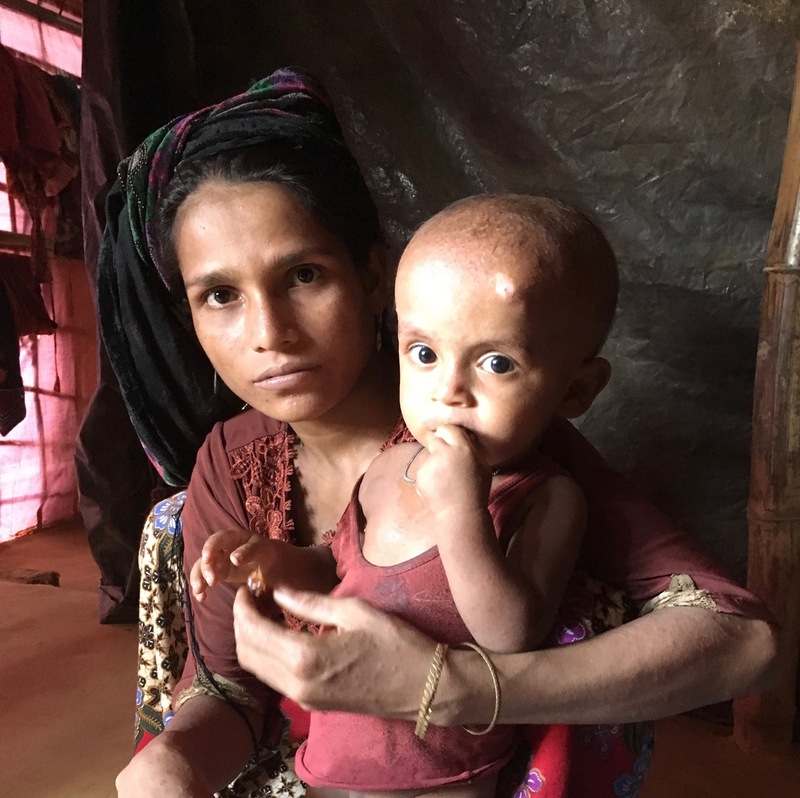 Eleven months after violent crackdowns on Rohingya villagers in Myanmar’s northern Rakhine state, refugees living in camps in Bangladesh are beginning to grapple with questions of their future. Although they have fled mass atrocities in Myanmar and now have shelter, food, and access to medical services in Bangladesh, many are talking about going home. I visited the camps in June, a day after the governments of Myanmar and Bangladesh signed a secret repatriation agreement with the UN. The agreement, leaked on Facebook on June 29, has since been rejected by Rohingya leaders. They say it fails to provide citizenship guarantees for the Rohingya, who are not recognized under changes made to Myanmar’s 1982 nationality law. I wanted to hear from regular people in the camps in Bangladesh, so I set out to ask them about their hopes for the future to understand the reasons they may brave going back. “I don’t know about my future,” said Noor, 22, from the small mud hut she shares with her sister-in-law. “I heard they are talking about throwing us back, but I don’t have any documentation.” At the sound of a whistle outside, she jumps to her feet, passes me her toddler and begins unfolding the plastic parcel where she keeps the few documents she has left – a UNHCR ration card and an official photo of her late husband’s family. He was killed with their newborn during the attacks in northern Rakhine in August. Noor, who left school at 8 years old, is struggling to picture a future without them. But she places hope on her son receiving an education. “I want to go back so he can go to school and maybe one day to university,” she said. Noor, 22, lost her husband and child in the violence, but wants to go back so that her son will have education opportunities in the future. Photo by Margarite Clarey. Many of the refugees I spoke to in the camps are troubled that their children are out of school. “Here we are just surviving – I want my children to have an education so that we can have a future,” said Nassim, 47, a mother of five. Refugee children, who comprise nearly half of the 700,000 arrivals since June, are not allowed to attend local Bangladeshi schools. Myanmar, meanwhile, has barred the teaching of the national curricula in the refugee camps. 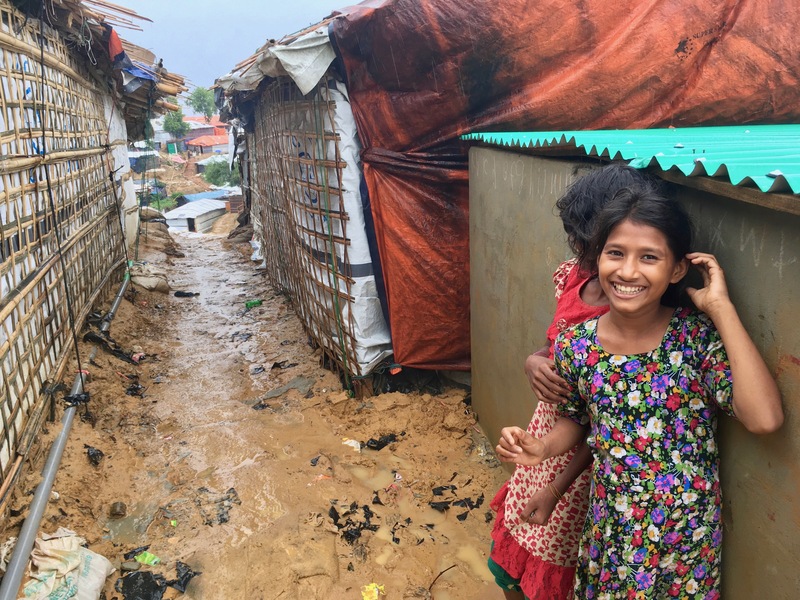 “Three in four Rohingya refugee children are having their right to education denied and [are] at risk of becoming a lost generation,” Save the Children’s Humanitarian Advocacy Manager in Cox’s Bazar, wrote via email. “This means 327,000 Rohingya refugee children are currently being deprived [of the chance] to learn even the most basic numeracy and literacy skills like reading and writing, which would empower them to build a brighter future for themselves and their families,” she added. While around 137,646 children are enrolled in temporary learning spaces run by NGOs and the UN, parents worry that the education they receive will not be recognized when they leave the camps. “The learning centers here in the camps are not real schools, they don’t follow the real curricula,” said Abdul Kalom, 37, a Doctors Without Borders-trained community health worker. His eldest children (aged 8 and 6) are enrolled in a temporary learning school and attend classes for just two hours each day. Although he appreciates the freedom his family has to practice their religion in Bangladesh, he is certain he does not want to stay. Rohingya children playing in the camp, June 2018. Photo by Margarite Clarey. The education system back in Myanmar’s Rakhine state is far from perfect. Controls make it impossible for Muslim students to attend classes at Rakhine universities, and movement restrictions and segregation policies block Rohingya from attending school alongside ethnic Rakhine children. For those that do attend, frequent payments are common. “We could not afford to educate our children. We had to pay money for everything – to go to school, to do normal things. 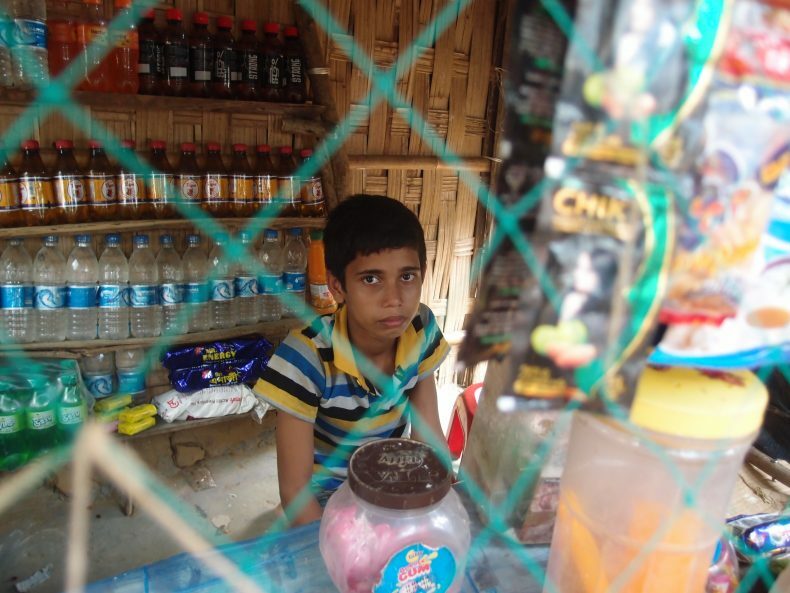 The constant bribes made our life very hard,” said Hamida, 32, from the small window shop she runs in Kutupalong refugee camp to pay for her son’s private tuition. “I don’t want to ruin my children’s lives. They are growing up – they need education. But in Myanmar, I know they will never be allowed,” she said. “So, would your lives be better in Bangladesh?” I asked. Hamida gestured exasperatedly to the makeshift shelters next door. “What do you think?” she said. Muhamod, 13, in the small shop his mother Hamida runs to pay for his tuition. “I miss my friends and my house,” he tells me. “When I grow up I want to be an English teacher back in Myanmar.” Photo by Margarite Clarey. The UN repatriation agreement does not guarantee returnees will be able to go back to their former homes. The leaked text adds that they are to return to either “their own households and original places of residence OR to a safe and secure place nearest to it.” Some fear that the purpose-built facilities for returning refugees in northern Rakhine may be used to hold returnees in permanent camps, as has been government policy for Rohingya internally displaced persons in central Rakhine state since intercommunal clashes in 2012. Access to education is just one of the obstacles that will need to be addressed should the Rohingya stand a chance of returning to safe and dignified lives back in Myanmar. Most have lost their homes, which were burnt down in the wake of the attacks, and say they won’t return until their homes are given back to them. Others want justice and the freedom to practice their religion. “They raped our mothers and sisters and stopped us from following our religion. We are religious people, we want to follow our religion. And we need nationality. If you give me these two things right now, I’ll go straight away,” said former teacher Mohammad Ruhim. 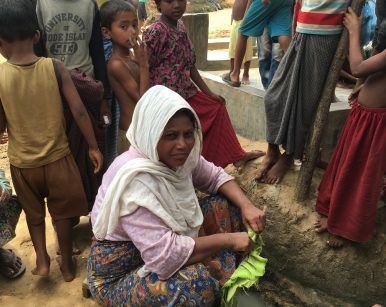 Above all, the Rohingya people I spoke to in the camps want the rights and protection that they believe will only come with the Myanmar government recognizing them as citizens of Myanmar. “If my relatives still living in Myanmar get nationality, then I will think about returning,” he said. Margarite Clarey is a independent researcher and journalist living in Myanmar.